The price is 23850 Euro. Gross Vehicle Weight: 33000 kg. The details on engine output, gearbox and emission class are as follows: Euro 2, displacement: 11967 cc, engine cylinders: 6, 410 hp, gearbox: manual, transmission: Schaltgetriebe, 16-Gang, power take-off. 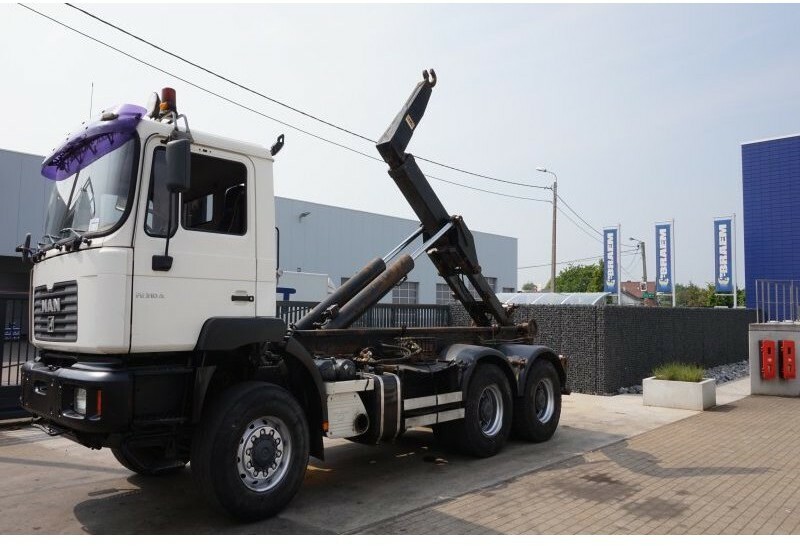 The details on axles, suspension and euro norm include: suspension: spring, front axle suspension, 6x6, wheel base: 3500 mm, front tires: 425/65 R22.5, rear tires: 13R 22.5, dual wheels, trailer coupling. Driving cab specifics: power windows. The mileage is 446492 km.